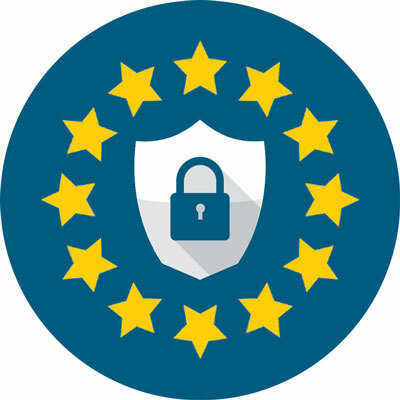 Euro VPN is designed to make it easy to access our European and worldwide server network as well as securing and speeding up your internet connection, transferring you around the globe. 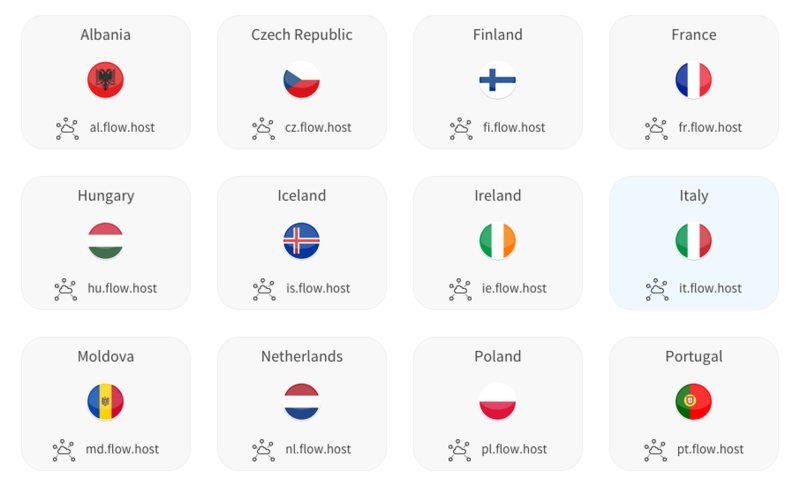 Simply select which country you want to surf the internet from on Euro VPN’s server map and your traffic will be routed accordingly. By using Euro VPN your internet traffic is sent to one of our servers around the globe, and then sent across a main internet backbone enabling fast access to internet services in the US, UK, China, Europe and Asia. The VPN service also provides a secures your connection by encrypting your traffic until it reaches our servers. Euro VPN subscriptions are paid for via in-app purchases in the Apple App Store or automatic PayPal subscription. 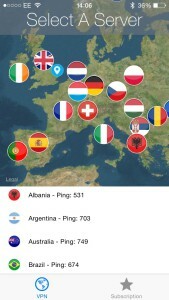 Ping times shown on the application’s Select Server screen indicate which VPN server has the fastest connection to you, so choosing a server with a low ping time is a good start. However, when it comes to downloading content quickly there are quite a few variables. What you want is the fastest route from your location to the server that hosts the content you need to access, but it’s sometimes hard to know which connections will be the best. We created our ‘via’ routes to help: they use the best connections to route traffic quickly across the globe. For instance, if you’re in Asia and you want to connect to the UK, if you connect straight to the UK you’ll be using a fast connection around the country you’re in, but the international traffic from there will probably use cheap bandwidth on slow connections. If you instead use our UK via Singapore or UK via Thailand connections you should have a much faster connection to the UK – you’ll be connecting to a data centre in Singapore or Thailand that has a direct route under the sea straight to the UK – fast, more expensive bandwidth on a premium tier 1 network connection. 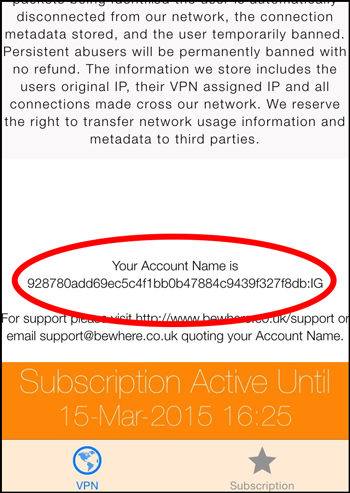 How can I share my VPN subscription between my iPhone / iPad and my Mac? Easy. The main page of the app has a blue ‘account’ button, select that and you’ll be given the opportunity to create an account enabling you to log in on other devices. Tap the ‘new account’ link to create your account, then use your email address and password to log in from another of our apps and / or on a different device. 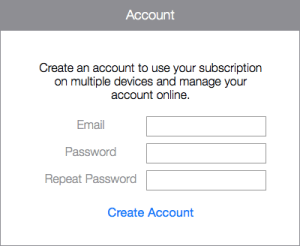 Can I use my subscription on my Windows PC or Android device? You’ll be sent an email. Click the link in the email to verify your email address. You’ll be taken to your Flow VPN client area. Select a server location, then click the Windows or Android button for configuration instructions. Where can I find my VPN account name? 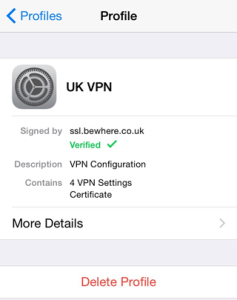 Euro VPN shows your account name at the bottom of the app’s main page. You can also find your account name by navigating to Settings > VPN > and clicking the blue i to see the settings for EURO VPN. OpenVPN takes a bit longer to configure, so we’d suggest that you start with PPTP and L2TP. How can I connect via OpenVPN? To use Euro VPN via OpenVPN on your iPhone / iPad you’ll first need to install OpenVPN Connect from the App Store. 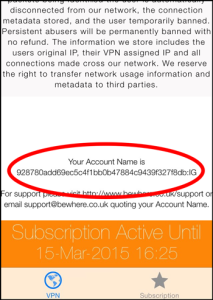 Open the Euro VPN app and go to Subscription > Reconfigure. 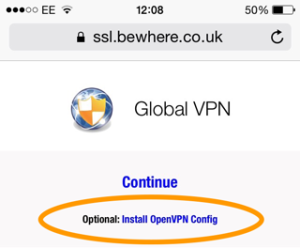 Follow the prompts so that your main PPTP and L2TP profiles are installed, then you’ll see the Euro VPN configuration web page – click the “Install OpenVPN Config” link and follow the prompts. When your profile has been installed you’ll be able to connect via the OpenVPN Connect app. How can I delete a VPN profile from my iPhone / iPad? To delete a VPN profile from your iPhone / iPad, go to Settings > General > Profiles, tap on the profile you want to remove and you’ll see a Delete Profile button. My account has been blocked - what should I do? Our network doesn’t support usage of BitTorrent and peer-to-peer file sharing. Traffic is automatically checked and if BitTorrent packets are detected the user account will be automatically blocked. Sometimes you don’t even need to be actively using peer to peer – if you have a BitTorrent client installed it might send a small amount of traffic in the background occasionally and that would be sufficient to block your VPN account, so we recommend uninstalling BitTorrent software while using our VPN service. Please also be aware that some other software has BitTorrent clients built in, a good example being Torch web browser. If when you try to connect you see an error along the lines of “server did not respond”, assuming that your network connection is good and you’re online, it’s possible that your network doesn’t support the VPN protocol you’re using. If you’ve been trying to connect using your PPTP profile, try L2TP instead. If you’re tried both PPTP and L2TP, try OpenVPN. The other possible reason for this error is that there’s a problem with the server you’re trying to connect to. 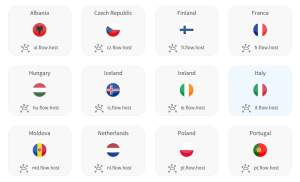 Use the ‘select country’ function in Euro VPN to reconfigure your connection to use a different server. If you’ve paid for your VPN subscription through an in-app purchase you don’t need to cancel, your subscription will come to an end after the expiry date shown in your VPN app and you won’t be charged again until you make another in-app purchase.